When I first found out from my mom that we were taking a big family trip (all twelve of us) to Belize, I wasn’t quite sure what to expect. Belize is a country south of Mexico, in Central America, that’s best known for its seafood. The country’s eastern rim borders the coast and has the second largest barrier reef (the largest one is in Australia). When I saw our itinerary, I was most excited about our first destination: the beach. For our week-long family trip in Belize, we first stopped in San Pedro, Ambergris Caye, and stayed at Blue Tang Inn for three nights. We spent our time out in the ocean swimming, snorkeling, and fishing. The sea was as clear as the sky and the corals were as stunning as flowers. 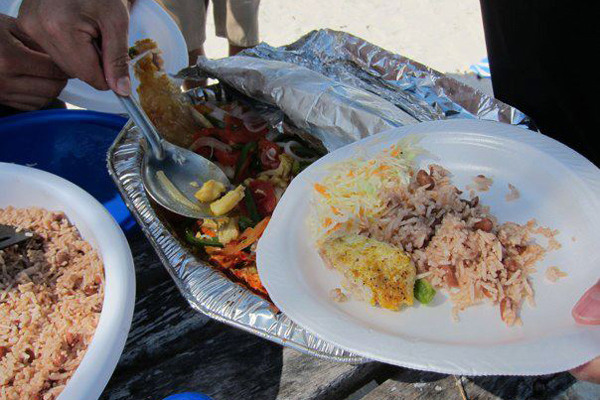 But as beautiful as Belize is, I gave most of my attention to the food! 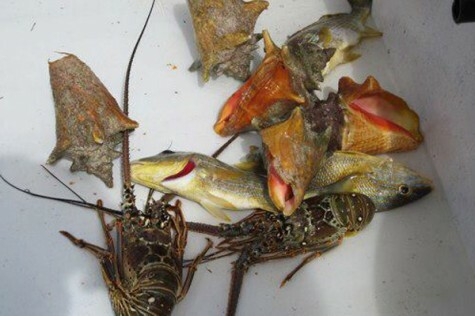 We sampled fresh and delicious seafood over dinner along the beach and we even ate our very own “catch of the day,” which included snapper and yellow-tail fish, lobster, and conch! A very typical meal starts off with some chips and salsa and ceviche, and followed by our main dish, which are often fresh seafood grilled, sautéed, or pan seared. Our second destination was deep down in the jungle, where we stayed at Pook’s Hill Lodge. 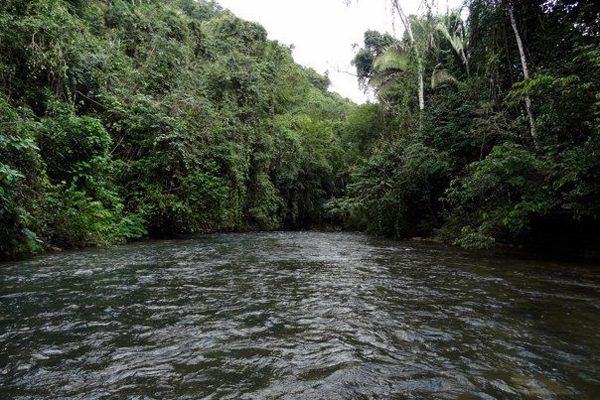 While there, we ventured into Nature for canoe trips and jungle walks. We also had an opportunity to visit a Mayan ruin and the Actun Tunichil Muknal cave. Again, I was engrossed by the food, and I was very impressed with Pook’s Hill’s family-style meals. We had everything from Christmas roast, split pea soup, and heart-warming banana bread. So I must end with this: my favorite dish of the trip recreated for you–ceviche! Julie Sophonpanich is a senior at Brown University, where she concentrates in History of Art and Architecture and excitedly writing her thesis on Italian gardens. She loves traveling and sampling delicious food from different countries and hope to one day follow her thesis into the gardens of Italia. Ceviche is a miraculous dish where seafood is cooked by acid, rather than heat. Though you definitely want to start with very fresh fish, don’t fear that you’re eating anything raw. You’re not. Prepare the seafood by dicing all the ingredients into cubes and placing it into a large bowl. Squeeze the lemon and lime into the bowl and mix well. Cover the bowl and place it into the refrigerator for an hour. This process will ‘cook’ the seafood. While waiting, prepare the other ingredients. Peel and dice the red onion and chop the garlic. Pick the leaves off the bunch of cilantro. Place the diced onion, chopped garlic, and cilantro into a bowl. Squeeze an additional lime juice into the bowl. Add the table spoon of olive oil. Add chile pepper and a pinch of salt and pepper into this mixture. Stir well. After the hour is up, combine all ingredients and let chill until ready to serve. Nice article on our trip – reminded me how much we did eat there!